A shooting has allegedly occurred during a rally in the Iranian city of Najafabad, as the protests against poverty and unemployment in Iran have entered the fifth day. One of the protesters participating in anti-government unrest in Iran has opened fire against police officers in the country's Najafabad city, leaving one person killed and wounding three others, local media reported on Monday. — TRT World (@trtworld) 1 января 2018 г. 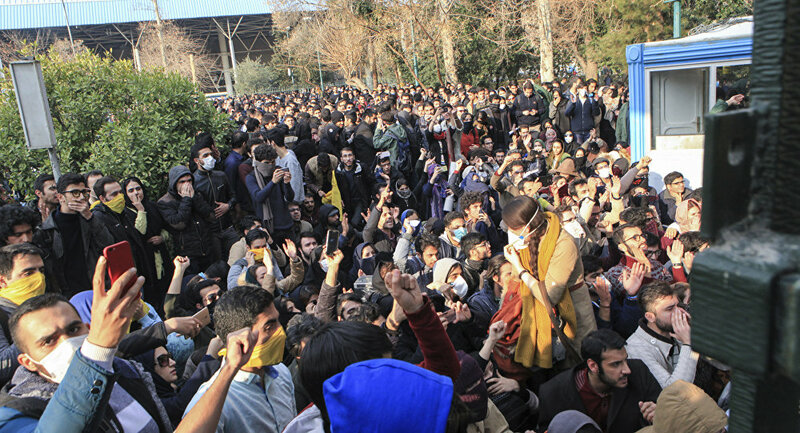 Several major cities in Iran, including Tehran, Mashhad, Isfahan, and Rasht, were first hit by protests on December 28, 2017. Since then, people have repeatedly taken to the streets to protest against unemployment, poverty, and the rising cost of living. Media reported that the number of people killed during protests reached 12. US President Donald Trump said Monday amid ongoing anti-government protests in the Islamic republic that it was high time for changes in Iran as its people were striving for freedom and end of "repressions" in the country. "Iran is failing at every level despite the terrible deal made with them by the [former US President Barack] Obama Administration. The great Iranian people have been repressed for many years. They are hungry for food & for freedom. Along with human rights, the wealth of Iran is being looted. TIME FOR CHANGE!" Trump wrote on his official Twitter account. — Trad American Angel (@RightWingAngel) 1 января 2018 г. Meantime, US Vice President Mike Pence said that the United States would not ignore the ongoing mass protests taking place in Iran. “As long as @RealDonaldTrump is POTUS [US president] and I am VP, the United States of America will not repeat the shameful mistake of our past when others stood by and ignored the heroic resistance of the Iranian people as they fought against their brutal regime. The bold and growing resistance of the Iranian people today gives hope and faith to all who struggle for freedom and against tyranny. We must not and we will not let them down,” Pence wrote on his Twitter page on Monday. Earlier, Iranian President Hassan Rouhani promised to intensity efforts in order to resolve existing economic problems, unemployment, inflation as well as air pollution in the country. 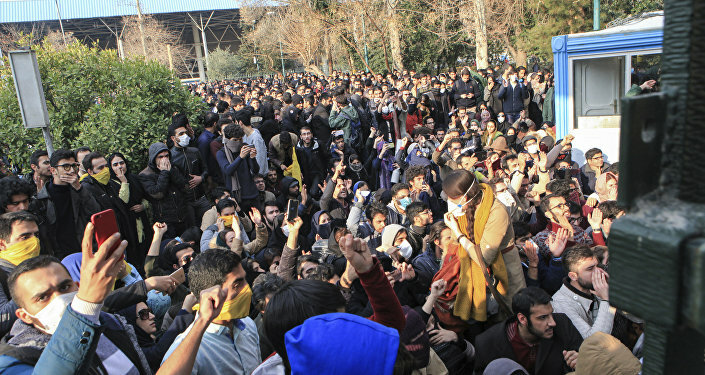 On Tuesday, UK Foreign Secretary Boris Johnson expressed his regrets over deaths of people during mass demonstrations in Iran. "We regret the loss of life that has occurred in the protests in Iran, and call on all concerned to refrain from violence and for international obligations on human rights to be observed," Johnson wrote on his Facebook page. Two member of police repressive forces avoids killing the people who are involved in #IranianProtests and joins them. People chant: "Stay with us"
— Ahmad Batebi (@radiojibi) 1 января 2018 г. He pointed out that the United Kingdom was closely watching the situation in Iran. "The UK is watching events in Iran closely. We believe that there should be meaningful debate about the legitimate and important issues the protesters are raising and we look to the Iranian authorities to permit this," Johnson said. The foreign secretary added that people should have freedom of expression and a right on peaceful demonstrations.